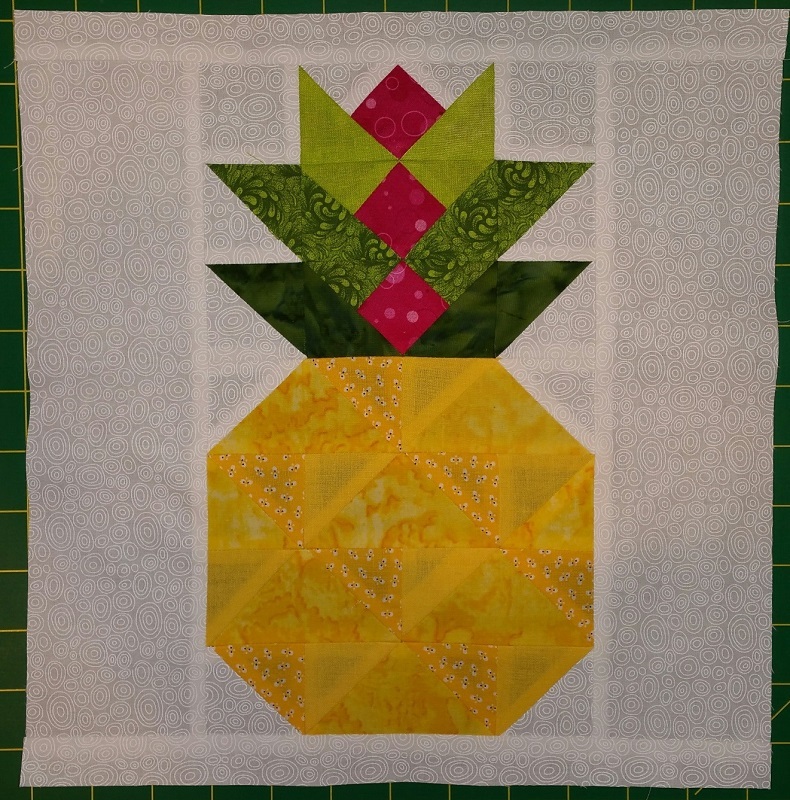 Up on the design wall this week will be the block of the month for Sunshine, along with making star blocks as my contribution to our annual opportunity quilt. 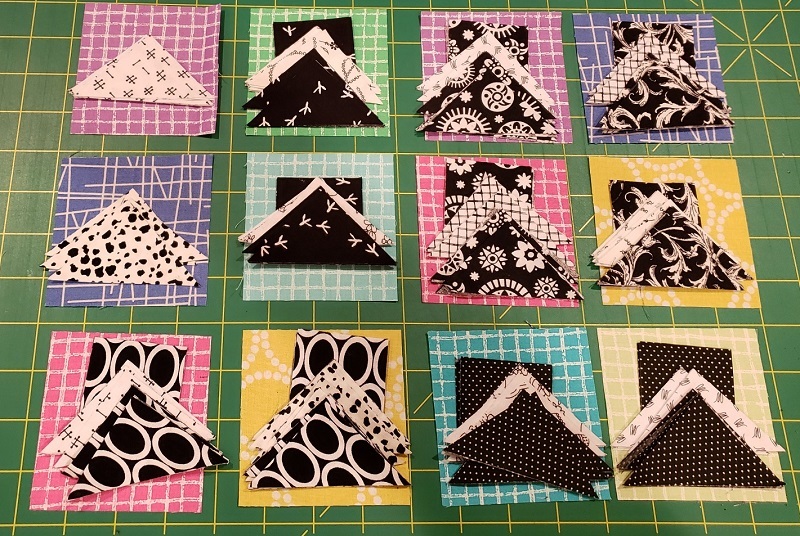 This should be a fun quilt with bright happy colors. More pictures and where you can buy tickets in a later post. Below are more Dear Jane Blocks. 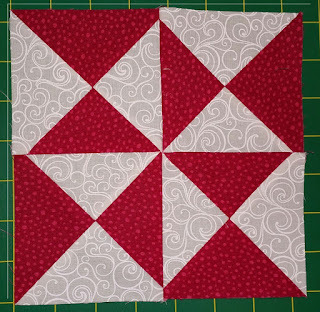 I am down to the last 6 blocks and will switch to working on the rest of the triangles next. Finally a couple of finishes! 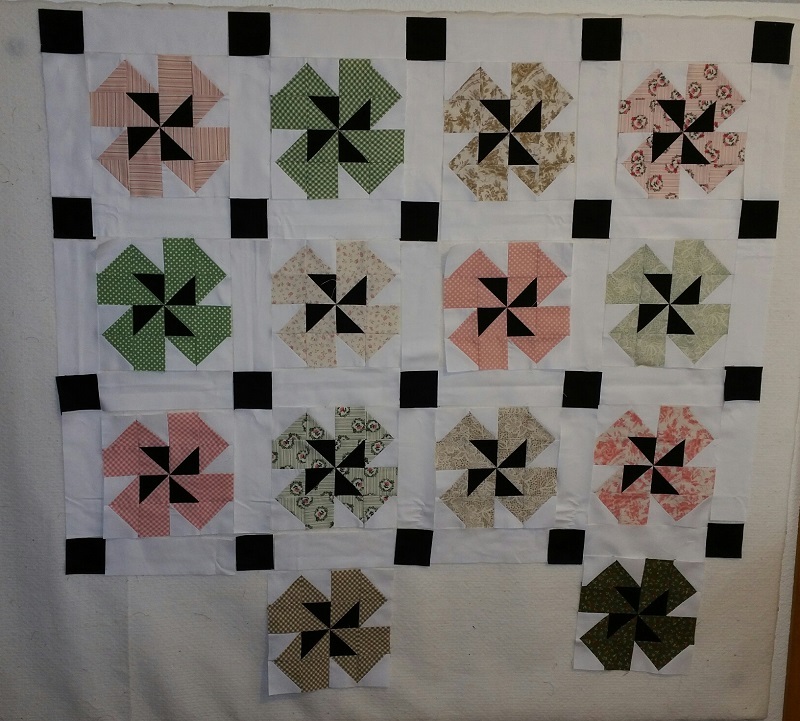 Marigold's quilt is done and on the longarm ready to quilt. 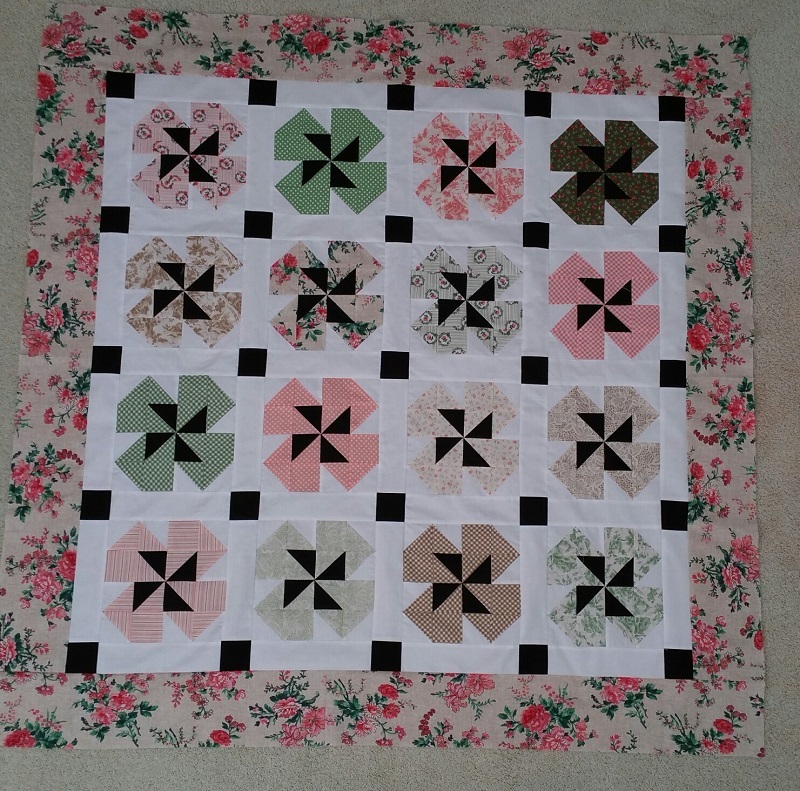 Also finished a similar quilt for Sunshine opportunity of the month, due in May. 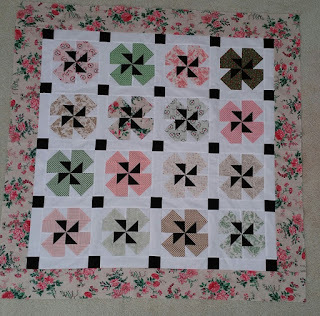 It will be next up to quilt, and hopefully back to Sandi to put on binding by the end of the week. Also finished this week a few more blocks for Dear Jane. I am slowly making progress in between other projects. But still trying to finish up by June! 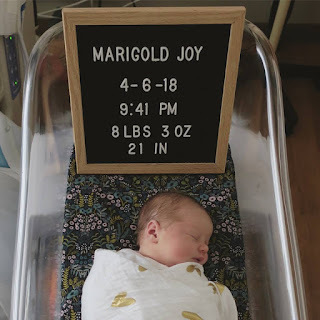 It has been a busy two weeks with two new Grandchildren. 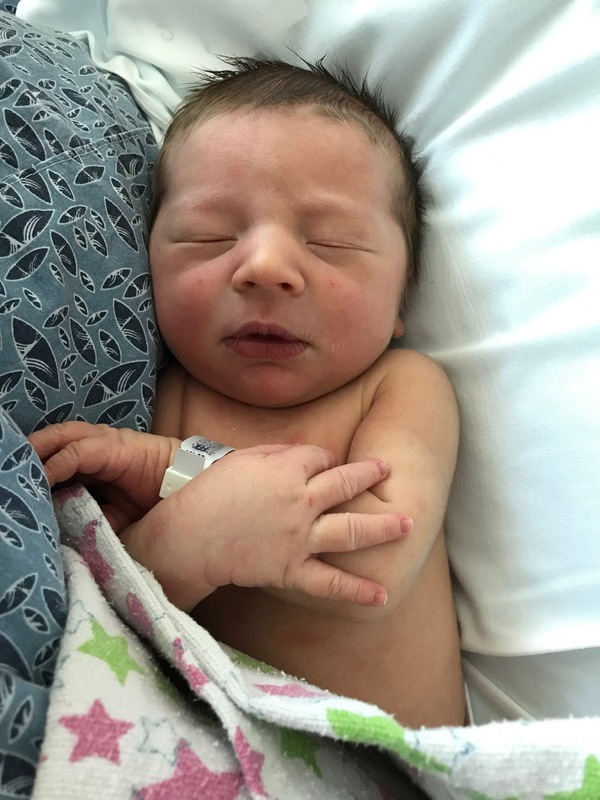 Born last week, my handsome Grandson, Asher. He arrived on April 18th and weighed in at 8lbs 4 oz. So, I am now in the black, with more projects almost finished! Used this week: 17 yards. Net Fabric Used YTD: 7 yards. 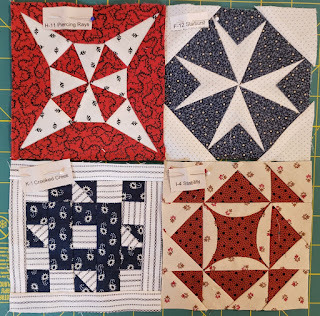 This week is for putting together Marigold's Quilt. 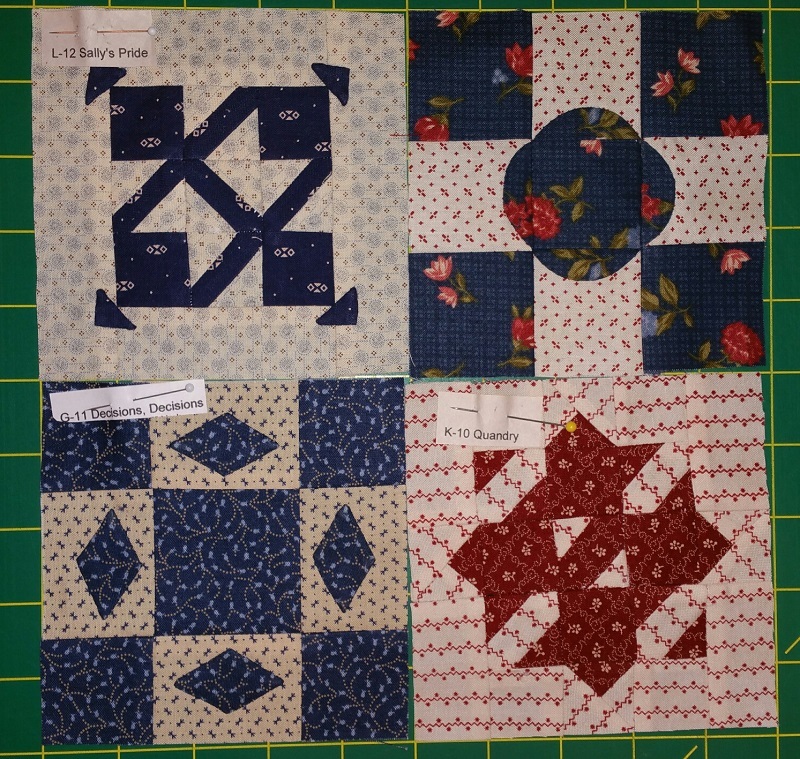 Two more blocks to complete, sashing is cut and ready. Time to sew the rows and add borders! 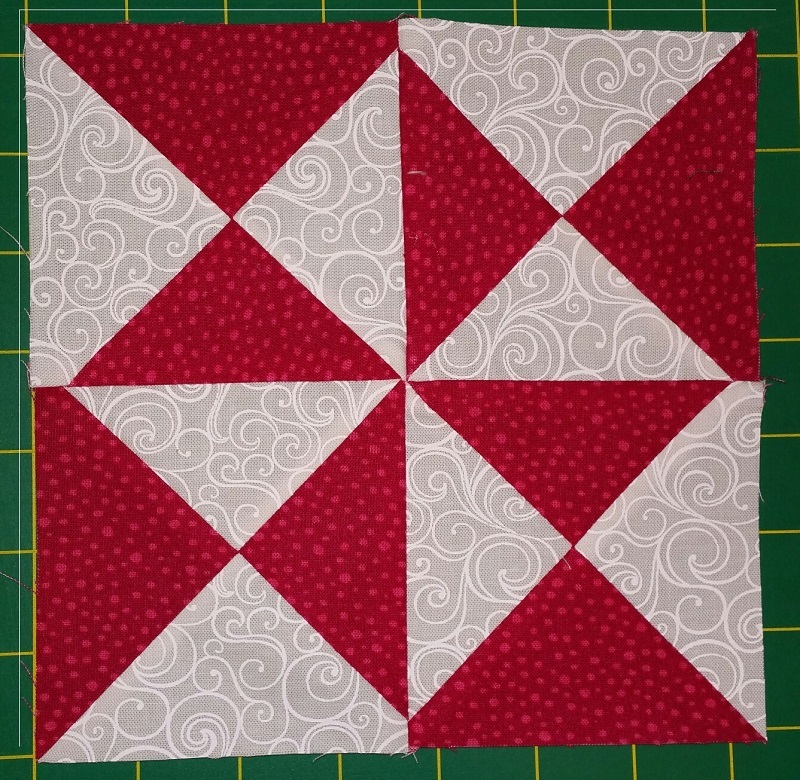 I am also working on finishing Sunshine's Mystery Quilt. Picture to be posted after the reveal at our June meeting. Have a great week! Not much change in the report this week, but we are welcoming our third Granddaughter- Marigold Joy, who arrived on Friday night. She is a sweet girl and looks like both her sisters combined! Looking forward to watching her grow! Net Fabric Used YTD: -10 yards. Check back tomorrow to see progress on my projects! This week on my design wall are more completed blocks for my Dear Jane. 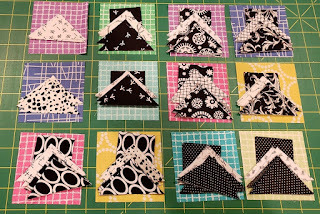 Only a few more to go and then on to the last of the Triangles. I am going to take a break from Dear Jane to finish up the quilt for Marigold and to work on the quilt that Sandi and I are making as an opportunity quilt for Sunshine. It is due in May and we need to get it going! 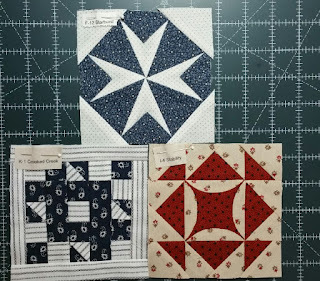 Dear Jane will be the project I will be taking with me on our quilting retreat in May. 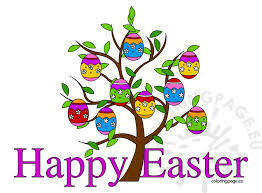 Hope you are all enjoying the day with family and friends! No changes again this week, but a couple of blocks done. Below is for our monthly block exchange for Sunshine Quilters. This was a very easy hourglass block. Next up, my pineapple block for our upcoming retreat in May. Winner will take all! Working hard to get back into the black! Check back tomorrow to see more progress on Dear Jane.